Alberta's finance minister says Quebec's resistance to a pipeline carrying western Canadian oil across its territory shows a lack of understanding about the energy industry in the Prairie province. 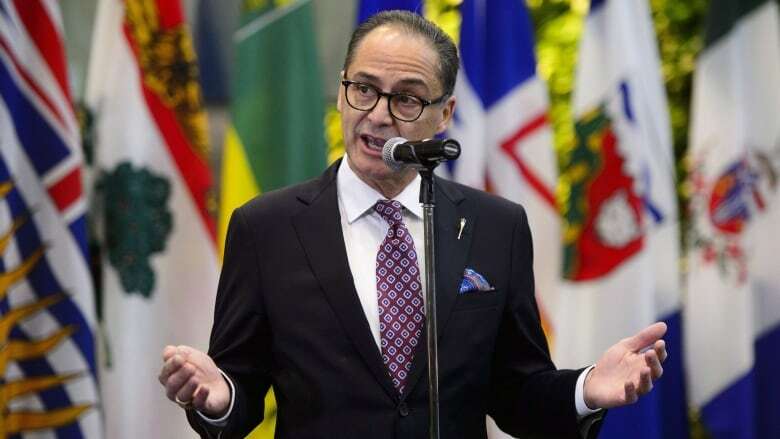 Speaking ahead of a federal-provincial finance ministers meeting Monday in Ottawa, Joe Ceci argued Alberta has been reducing the amount of carbon in the oil it produces. The entire national economy will benefit if Alberta can transport its oil to international markets beyond the United States, he said, insisting pipelines are the safest way to get crude to coastal ports. 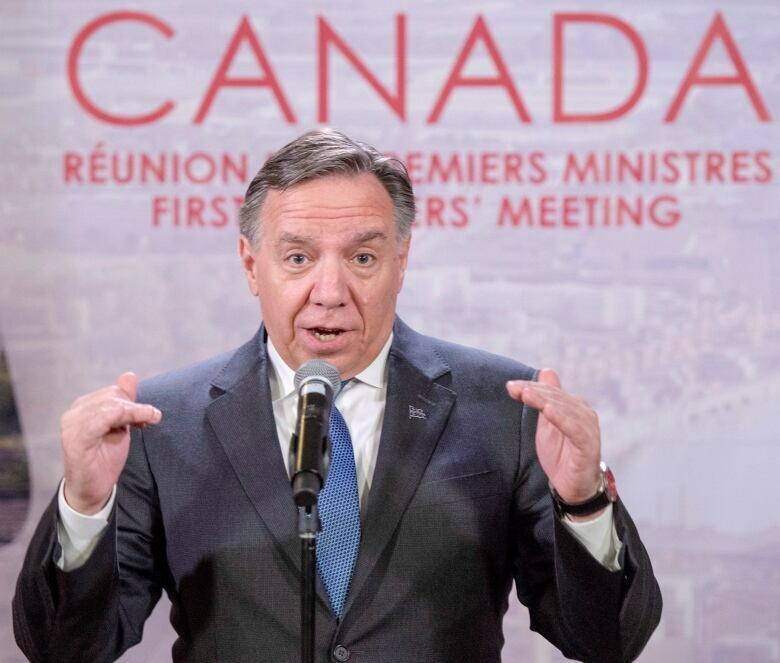 Ceci's remarks came a few days after Quebec Premier Francois Legault said there's no "social acceptability" for a pipeline that would carry what he called "dirty energy" through his province. "He clearly doesn't understand what is happening in the energy sector in Alberta at this point in time," Ceci said when asked by reporter Monday about Legault's comment. "We have been innovators in removing carbon from the barrel — we are going to continue to be innovators ... So I don't think the premier of Quebec understands at this point that Alberta's energy sector is leading in terms of the enhancements of the carbon molecule." Ceci later said: "We need to start operating as one country, as opposed to many provinces who are looking out for their own individual interests." TransCanada Corporation had proposed a $15.7-billion pipeline called Energy East, to carry western crude through Quebec to New Brunswick for shipment overseas — but the company abandoned the project more than a year ago, citing market changes and red tape. Last Friday after the premiers met in Montreal, New Brunswick Premier Blaine Higgs remained optimistic that, someday, a pipeline would be built to bring western crude oil to ports in his region. The challenges of moving crude out of the oilpatch to foreign markets has been a major concern for Alberta. The energy-producing province has been struggling with the economic consequences of an oil-price collapse as well as a deep discount on the price of western Canadian crude caused by transportation constraints. With a shortage of pipeline capacity, Alberta recently announced it will buy rail cars to ship another 120,000 barrels of oil a day. The province has been seeking help from the federal government, but Ottawa has been reluctant to offer financial support. Ceci said on Monday that he intended to continue urging his federal counterpart, Finance Minister Bill Morneau, to pitch in. Asked about rail cars on his way into Monday's meeting, Morneau said he believes the most important thing Ottawa can do is focus on long-term solutions such as its purchase of the Trans Mountain pipeline. The goal is to get it expanded and carry more Alberta oil to the British Columbia coast. "The discussion around rail is one that Alberta's brought forward," Morneau said. "We believe that that's something that we should be at least listening to, but we've certainly not gotten into any conclusions on where the federal government should be." Despite Alberta's difficulties, numbers released Sunday show it continues to be a so-called "have" province under the federal equalization program. Equalization is designed to help poorer provincial governments provide public services that are reasonably comparable to those in other provinces. Under the complex equalization formula, Alberta — as well as B.C., Saskatchewan, Ontario and Newfoundland and Labrador — won't receive equalization payments in 2019-20. Ottawa will transfer $19.8 billion in equalization funds to the provinces and Quebec is set to receive $13.1 billion from that envelope, by far the biggest share. The Quebec economy, however, has been performing well in recent years and its government is predicting a budgetary surplus. Alberta has struggled and is facing several years of deficits. The formula is based on a three-year moving average of economic growth, so a province's have or have-not status can lag behind economy-altering events. Alberta and other "have" provinces have been calling for a review of the equalization program, which was renewed last year for another five-year term. Even with renewal years off, Ceci said there are changes that can be made right away. For example, he said provinces with strong economies should not be receiving "floor payments" under equalization, loans that go to provinces that are no longer eligible for equalization payments they had been expecting. "Equalization does not work for Alberta," he said.